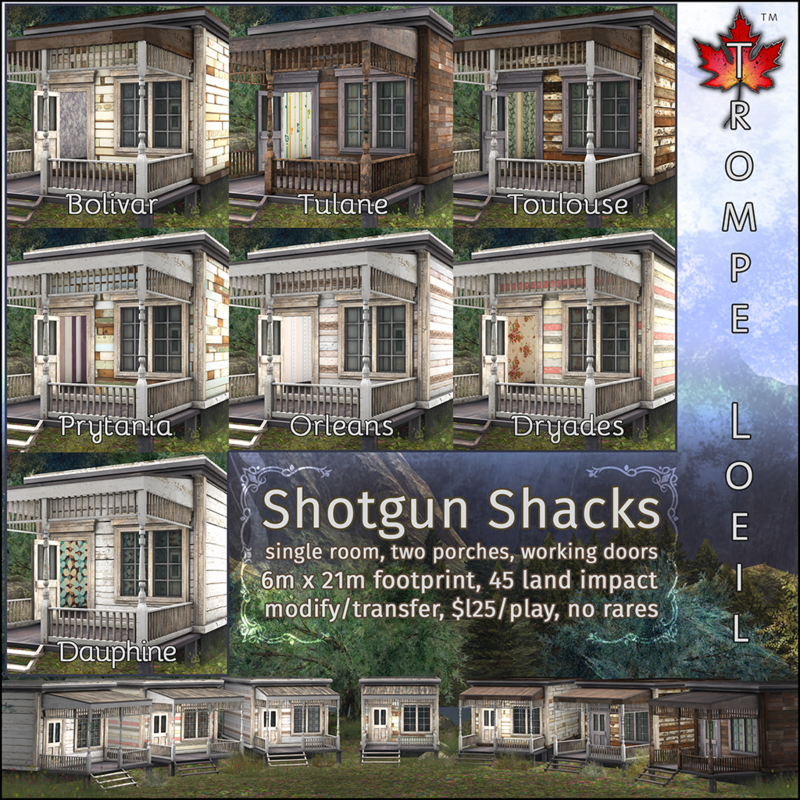 The Arcade‘s opening rush has subsided, so head on over and try your luck for all 7 of our new single room, double porch Shotgun Shacks – only $L25 per play! These classic Bayou-style residences are cozy and well-worn, and feature working doors and front and back porches to take in the warm summer air. Check out the inworld display model at the Trompe Loeil Mainstore! 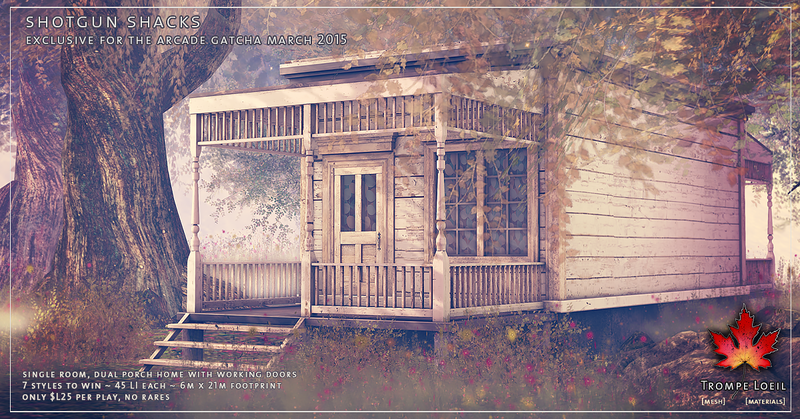 There’s 7 versions to win, each with unique interior wallpaper and exterior wood styles. Collect your favorite or collect them all – only at The Arcade through the end of March!